Qilin received his PhD (Dean’s Award) in Environmental Engineering from Advanced Water Management Centre at The University of Queensland under the supervision of Prof. Zhiguo Yuan AM (ARC Laureate Fellow, FTSE). During his PhD, he developed a novel technology that has been subsequently commercialised throughout the world. In 2014 he received the prestigious Huber Technology Prize in Germany. After that, Dr Wang worked at The University of Queensland, Griffith University and then joined University of Technology Sydney as a Senior Lecturer in 2018. Qilin has to date published more than 100 fully referred journal papers and secured 8 competitive grants including one Australian Research Council (ARC) DECRA Fellowship, one ARC Discovery Project and one Queensland Government funded Innovation Partnership project. 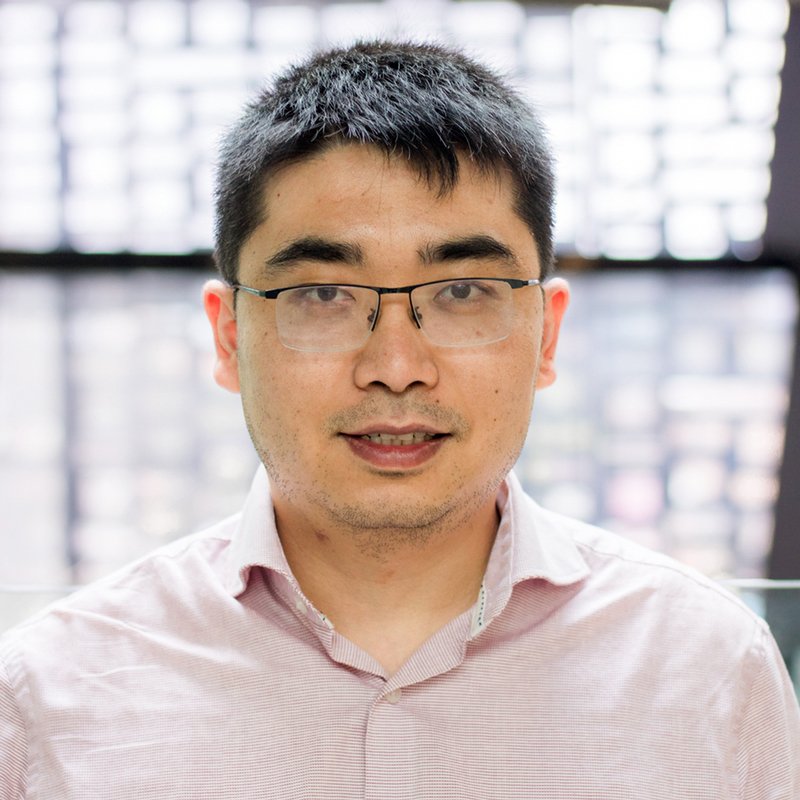 Qilin has received more than 30 international/national/university awards/recognition since he received his PhD in 2014 such as the internationally prestigious 2018 MIT Technology Review Innovator Under 35 (Asia Pacific region) and 2018 International ‘Water’ Young Investigator Award Winner. The Minister for Environment, MInister for Science and Minister for the Arts from the State Government also sent Qilin a formal and signed congratulation letter to congratulate Qilin on his achievement. Qilin is currently an Editor or Editorial Board Member of Chemosphere (Elsevier, IF=4.427), Process Safety and Environmental Protection (Elsevier, IF=3.441), Data in Brief (Elsevier), BioEnergy Research (Springer, IF=2.938), Environmental Technology (IF=1.666, Taylor & Francis) and Science of the Total Environment (IF=4.61, Elsevier). More than 30 international/national/university awards/recognition since Qilin received his PhD in 2014. © 2018 Springer Science+Business Media B.V., part of Springer Nature Effects of four different plant growth regulators including indole-3-acetic acid (IAA), 1-triacontanol (TRIA), 2,4-dichlorophenoxyacetic acid (2,4-D) and 6-benzylaminopurine (6-BA) on biomass and lipid productivity of microalga Scenedesmus obliquus cultured in municipal wastewater were primarily studied. The results showed that the lipid productivity of S. obliquus was significantly increased by 30.5 and 23.6% after the treatment by IAA and TRIA, respectively. According to the GC analysis of the lipids, the addition of IAA and TRIA could increase the content of monounsaturated fatty acid in S. obliquus, and thus improving the grade of biodiesel. After the addition of IAA and TRIA, the nitrogen content of S. obliquus significantly decreased, while bacterial diversity in wastewater increased, which could enhance the stability of microbial system in the wastewater medium. Meanwhile, significant increase were also found in the abundances of -Proteobacteria and -Proteobacteria. © 2019 Elsevier Ltd Efficient cost effective lipid extraction from microalgae is a challenging topic for large scale production of microalgae-based biodiesel. In this study, a microwave-assisted lipid extraction process was applied to the oil-rich green microalga Scenedesmus obliquus grown on municipal wastewater. N-hexane/isopropanol solvent was used as alternative solvent. Optimal extraction parameters were determined as: operational temperature of 130 °C, extraction time of 0.25 h, solvent ratio of N-hexane/isopropanol of 3:2 (V:V), phase ratio of co-solvent/biomass was 50:1 (mL:g). Relative extraction rates of lipid and fatty acid methyl esters (FAMEs) achieved using microwave-assisted extraction (MAE) were 88.25% and 95.58%, respectively, which is higher than traditional water bath heating extraction process (WHE). In addition, compared with WHE, the apparent first order rate constant of MAE was enhanced by 18 times compared to traditional methods. Analysis using scanning electron microscopy indicated that disruption of the cell wall of Scenedesmus obliquus by microwave led to the enhancement of solvents' penetration and lipid extraction. © 2019 Elsevier Ltd Cationic polyacrylamide, a flocculation powder widely used in wastewater pretreatment and sludge dewatering, was highly accumulated in waste activated sludge. However, its effect on short-chain fatty acids (SCFAs) accumulation from anaerobic fermentation of waste activated sludge has not been investigated. This work therefore aims to deeply unveil how cationic polyacrylamide affects SCFAs production, through both long-term and batch tests using either real waste activated sludge or synthetic wastewaters as fermentation substrates. Experimental results showed that the presence of cationic polyacrylamide not only significantly decreased the accumulation of SCFAs but also affected the composition of individual SCFA. The concentration of SCFAs decreased from 3374.7 to 2391.7 mg COD/L with cationic polyacrylamide level increasing from 0 to 12 g/kg of total suspended solids, whereas the corresponding percentage of acetic acid increased from 45.2% to 55.5%. The mechanism studies revealed that although cationic polyacrylamide could be partially degraded to produce SCFAs during anaerobic fermentation, cationic polyacrylamide and its major degradation metabolite, polyacrylic acid, inhibited all the sludge solubilization, hydrolysis, acidogenesis, acetogenesis and homoacetogenesis processes to some extents. As a result, the accumulation of SCFAs in the cationic polyacrylamide added systems decreased rather than increased. However, the inhibition to acetogenesis and homoacetogenesis was slighter than that to acidogenesis, leading to an increase of acetic acid to total SCFAs. It was further found that cationic polyacrylamide had stronger ability to adhere to protein molecules surface, which inhibited the bioconversion of proteins more severely. Illumina MiSeq sequencing analyses showed that cationic polyacrylamide decreased microbial community diversity, altered community structure and changed activities of key enzymes responsible for SCFAs accumulation. © 2019 Elsevier Ltd Controlling free ammonia in an anaerobic fermenter at pertinent levels is reported recently to be an economically attractive and practically feasible approach to enhance hydrogen yield from waste activated sludge (WAS). This paper reports a new technology for WAS dark fermentation, i.e., using heat pretreatment (70 °C for 60 min) to assist free ammonia for further improving hydrogen yield. The experimental results showed that the accumulative hydrogen production from combined reactors was promoted from 12.3 to 19.2 mL/g VSS (volatile suspended solids), the maximum of which was 1.8, 2.7, and 7.1 times of that from sole free ammonia (131.9 mg NH 3 -N/L), sole heat, and blank reactors, respectively. Mechanism explorations showed that the combination strategy significantly enhanced WAS disintegration, providing more substrates for hydrogen production. Moreover, the combination suppressed activities of all microbes associated with anaerobic fermentation, but its inhibition to hydrogen consumers was much severer than that to other microbes. © 2017 Elsevier B.V. Poly aluminum chloride (PAC) is accumulated in waste activated sludge at high levels. However, details of how PAC affects short-chain fatty acids (SCFA) production from anaerobic sludge fermentation has not been documented. This work therefore aims to fill this knowledge gap by analyzing the impact of PAC on the aggregate of sludge flocs, disruption of extracellular polymeric substances (EPS), and the bio-processes of hydrolysis, acidogenesis, and methanogenesis. The relationship between SCFA production and different aluminum species (i.e., Ala, Alb, and Alc) was also identified by controlling different OH/Al ratio and pH in different fermentation systems. Experimental results showed that with the increase of PAC addition from 0 to 40 mg Al per gram of total suspended solids, SCFA yield decreased from 212.2 to 138.4 mg COD/g volatile suspended solids. Mechanism exploration revealed that PAC benefited the aggregates of sludge flocs and caused more loosely- and tightly-bound extracellular polymeric substances remained in sludge cells. Besides, it was found that the hydrolysis, acidiogenesis, and methanogenesis processes were all inhibited by PAC. Although three types of Al species, i.e., Ala (Al monomers, dimer, and trimer), Alb (Al13(AlO4Al12(OH)24(H2O)7 + 12), and Alc (Al polymer molecular weight normally larger than 3000 Da), were co-existed in fermentation systems, their impacts on SCFA production were different. No correlation was found between SCFA and Ala, whereas SCFA production decreased with the contents of Alb and Alc. Compared with Alb, Alc was the major contributor to the decreased SCFA production (R2 = 0.5132 vs R2 = 0.98). This is the first report revealing the underlying mechanism of how PAC affects SCFA production and identifying the contribution of different Al species to SCFA inhibition. Previous investigations showed that cationic polyacrylamide (cPAM), a flocculant widely used in wastewater pretreatment and waste activated sludge dewatering, deteriorated methane production during anaerobic digestion of sludge. However, details of how cPAM affects methane production are poorly understood, hindering deep control of sludge anaerobic digestion systems. In this study, the mechanisms of cPAM affecting sludge anaerobic digestion were investigated in batch and long-term tests using either real sludge or synthetic wastewaters as the digestion substrates. Experimental results showed that the presence of cPAM not only slowed the process of anaerobic digestion but also decreased methane yield. The maximal methane yield decreased from 139.1 to 86.7 mL/g of volatile suspended solids (i.e., 1861.5 to 1187.0 mL/L) with the cPAM level increasing from 0 to 12 g/kg of total suspended solids (i.e., 0-236.7 mg/L), whereas the corresponding digestion time increased from 22 to 26 d. Mechanism explorations revealed that the addition of cPAM significantly restrained the sludge solubilization, hydrolysis, acidogenesis, and methanogenesis processes. It was found that 46% of cAPM was degraded in the anaerobic digestion, and the degradation products significantly affected methane production. Although the theoretically biochemical methane potential of cPAM is higher than that of protein and carbohydrate, only 6.7% of the degraded cPAM was transformed to the final product, methane. Acrylamide, acrylic acid, and polyacrylic acid were found to be the main degradation metabolites, and their amount accounted for 50% of the degraded cPAM. Further investigations showed that polyacrylic acid inhibited all the solubilization, hydrolysis, acidogenesis, and methanogenesis processes while acrylamide and acrylic acid inhibited the methanogenesis significantly. Enhanced biological phosphorus removal (EBPR) is a sustainable and promising technology for phosphorus removal from wastewater. The efficiency of this technology, however, is often discounted due to the insufficient carbon sources in influent. In this work, the effect of acetate to glycerol ratio on the EBPR performance was evaluated. The experimental results showed when the ratio of acetate to glycerol decreased from 100/0% to 50/50%, the EBPR efficiency increased from 90.2% to 96.2%. Further decrease of acetate to glycerol ratio to 0/100% decreased the efficiency of EBPR to 30.5%. Fluorescence in situ hybridization analysis demonstrated appropriate increase of glycerol benefited to increase the relative abundance of phosphate accumulating organisms. Further investigation revealed the proper addition of glycerol increased the amount of polyhydroxyalkanoates synthesis, and then produced sufficient energy for oxic luxury phosphorus in the subsequent oxic phase. This study reported a new, renewable and high-efficient strategy for anaerobic fermentation, i.e., using free ammonia (FA) to pretreat waste activated sludge (WAS) for 1d and then combining with rhamnolipid (RL), by which the short-chain fatty acids (SCFA) production was remarkably improved. Experimental results showed the maximal SCFA production of 324.7±13.9mg COD/g VSS was achieved at 62.6mg FA/L pretreatment combined with 0.04g RL/g TSS, which was respectively 5.95-fold, 1.63-fold and 1.41-fold of that from control, FA pretreatment and RL pretreatment. Mechanism investigations revealed that FA+RL enhanced sludge solubilization and hydrolysis, providing more organics for subsequent SCFA production. It was also found that the combined method inhibited acidogenesis and methanogenesis, but the inhibition to methanogenesis was much severer than that to acidogenesis. Finally, the feasibility of NH4+-N and PO3-4-P, released in fermentation liquor, being recovered as magnesium ammonium phosphate (MAP) was confirmed. © 2018 Elsevier B.V. This study proposed a novel zero valent iron (ZVI) technology to enhance anaerobic methane production from primary sludge in the anaerobic digester and to improve the dewaterability of digested sludge for the first time. Compared to the control test without ZVI, the anaerobic digester with ZVI at all levels (1, 4 and 20 g/L) played a driving role in anaerobic methane production from primary sludge. The maximal biochemical methane production of 439 ± 5 L CH4/kg VS was achieved at ZVI of 4 g/L, while only 345 ± 2 L CH4/kg VS (volatile solids) was produced in the case of no-ZVI dosage, representing a relative increase of 26.9 ± 0.1%. It was also found that ZVI addition would produce an anaerobically digested sludge with a better dewaterability, as indicated by the decrease of the normalized capillary suction time from 100 to 63 89 s, respectively. Model based analysis revealed that the enhanced methane production from primary sludge was due to an increase in both hydrolysis rate and biochemical methane potential of primary sludge. Economic analysis demonstrated that ZVI technology was economically favorable. Copyright © 2018 American Chemical Society. Free ammonia (FA) could accumulate at high levels in the sludge anaerobic fermentation, especially under alkaline fermentation conditions, which might significantly affect the anaerobic fermentation. However, its role in the sludge fermentation process has not been revealed fundamentally. This work therefore aims to fill the knowledge gap through the integration of experimental and mathematical approaches. Experimental results showed that when the initial ammonium concentration increased from 20 to 300 mg/L, the maximal short-chain fatty acid (SCFA) yield from fermentation systems with different pH values varied from 91.2 to 296.7 mg of chemical oxygen demand/g volatile suspended solids (VSS). The increasing SCFA production was observed to correlate with the FA level rather than the ammonium level, suggesting that FA, instead of ammonium, is likely the true contributor to enhance SCFA production. Batch tests confirmed that ammonium in the fermentation-strength range (e.g., 0-300 mg/L) did not affect any process of sludge fermentation, but all the processes were affected significantly by FA, pH, or combined FA-pH. It was found that FA facilitated sludge disintegration but inhibited the processes of hydrolysis, acidification, and methanogenesis. When FA and alkaline conditions were combined, synergistic effects on all these processes were observed. The significant contribution of FA to SCFA production was finally confirmed by a sludge fermentation mathematical model proposed recently. The findings reported here revealed the actually existing, yet previously unrecognized contributor to the sludge fermentation, which help engineers better understand the role of FA in sludge anaerobic fermentation. Soil contamination by heavy metals and metalloids has been a major concern to human health and environmental quality. While many remediation technologies have been tested at the bench scale, there have been only limited reports at the field scale. This paper aimed to provide a comprehensive overview on the field applications of various soil remediation technologies performed over the last decade or so. Under the general categories of physical, chemical, and biological approaches, ten remediation techniques were critically reviewed. The technical feasibility and economic effectiveness were evaluated, and the pros and cons were appraised. In addition, attention was placed to the environmental impacts of the remediation practices and long-term stability of the contaminants, which should be taken into account in the establishment of remediation goals and environmental criteria. Moreover, key knowledge gaps and practical challenges are identified. Inline sludge treatment using free nitrous acid (FNA) was recently shown to be effective in establishing the nitrite pathway in a biological nitrogen removal system. However, the effects of FNA treatment conditions on the nitrite pathway performance remained to be investigated. In this study, three different FNA treatment frequencies (daily sludge treatment ratios of 0.22, 0.31 and 0.38, respectively), two FNA concentrations (1.35mgN/L and 4.23mgN/L, respectively) and two influent feeding regimes (one- and two-step feeding) were investigated in four laboratory-scale sequencing batch reactors. The nitrite accumulation ratio was positively correlated to the FNA treatment frequency. However, when a high treatment frequency was used e.g., daily sludge treatment ratio of 0.38, a significant reduction in ammonia oxidizing bacteria (AOB) activity occurred, leading to poor ammonium oxidation. AOB were able to acclimatise to FNA concentrations up to of 4.23mgN/L, whereas nitrite oxidizing bacteria (NOB) were limited by an FNA concentration of 1.35mgN/L over the duration of the study (up to 120days). This difference in sensitivity to FNA could be used to further enhance nitrite accumulation, with 90% accumulation achieved at an FNA concentration of 4.23mgN/L and a daily sludge treatment ratio of 0.31 in this study. However, this high level of nitrite accumulation led to increased N2O emission, with emission factors of up to 3.9% observed. The N2O emission was mitigated (reduced to 1.3%) by applying two-step feeding resulting in a nitrite accumulation ratio of 45.1%. Economic analysis showed that choosing the optimal FNA treatment conditions depends on a combination of the wastewater characteristics, the nitrogen discharge standards, and the operational costs. This study provides important information for the optimisation and practical application of FNA-based sludge treatment technology for achieving the mainstream stable nitrite pathway. Free nitrous acid (FNA) exerts a broad range of antimicrobial effects on bacteria, although susceptibility varies considerably among microorganisms. Among nitrifiers found in activated sludge of wastewater treatment processes (WWTPs), nitrite-oxidizing bacteria (NOB) are more susceptible to FNA compared to ammonia-oxidizing bacteria (AOB). This selective inhibition of NOB over AOB in WWTPs bypasses nitrate production and improves the efficiency and costs of the nitrogen removal process in both the activated sludge and anaerobic ammonium oxidation (Anammox) system. However, the molecular mechanisms governing this atypical tolerance of AOB to FNA have yet to be understood. Herein we investigate the varying effects of the antimicrobial FNA on activated sludge containing AOB and NOB using an integrated metagenomics and label-free quantitative sequential windowed acquisition of all theoretical fragment ion mass spectra (SWATH-MS) metaproteomic approach. The Nitrosomonas genus of AOB, on exposure to FNA, maintains internal homeostasis by upregulating a number of known oxidative stress enzymes, such as pteridine reductase and dihydrolipoyl dehydrogenase. Denitrifying enzymes were upregulated on exposure to FNA, suggesting the detoxification of nitrite to nitric oxide. Interestingly, proteins involved in stress response mechanisms, such as DNA and protein repair enzymes, phage prevention proteins, and iron transport proteins, were upregulated on exposure to FNA. In addition enzymes involved in energy generation were also upregulated on exposure to FNA. The total proteins specifically derived from the NOB genus Nitrobacter was low and, as such, did not allow for the elucidation of the response mechanism to FNA exposure. These findings give us an understanding of the adaptive mechanisms of tolerance within the AOB Nitrosomonas to the biocidal agent FNA. Short-chain fatty acids (SCFA), raw substrates for biodegradable plastic production and preferred carbon source for biological nutrients removal, can be produced from anaerobic fermentation of waste activated sludge (WAS). This paper reports a new, high-efficient and eco-friendly strategy, i.e., using free nitrous acid (FNA) pretreatment combined with Tea saponin (TS), to enhance SCFA production. Experimental results showed 0.90mg/L FNA pretreatment and 0.05g/g total suspended solids TS addition (FNA+TS) not only significantly increased SCFA production to 315.3±8.8mg COD/g VSS (5.52, 1.76 and 1.93 times higher than that from blank, solo FNA and solo TS, respectively) but also shortened fermentation time to 4days. Mechanism investigations revealed that FNA pretreatment combined with TS cause a positive synergetic effect on sludge solubilization, resulting in more release of organics. It was also found that the combination benefited hydrolysis and acidogenesis processes but inhibited the methanogenesis. The decreased activity (i.e. decay) of anaerobic ammonium oxidation (Anammox) bacteria during starvation can be attributed to death (i.e. decrease in the amount of viable bacteria) and activity decay (i.e. decrease in the specific activity of viable bacteria). Although they are crucial for the operation of the Anammox process, they have never been comprehensively investigated. This study for the first time experimentally assessed death and activity decay of the Anammox bacteria during 84 days' starvation stress based on ammonium removal rate, Live/Dead staining and fluorescence in-situ hybridization. The anaerobic and aerobic decay rates of Anammox bacteria were determined as 0.015±0.001 d-1 and 0.028±0.001 d-1, respectively, indicating Anammox bacteria would lose their activity more quickly in the aerobic starvation than in the anaerobic starvation. The anaerobic and aerobic death rates of Anammox bacteria were measured at 0.011±0.001 d-1 and 0.025±0.001 d-1, respectively, while their anaerobic and aerobic activity decay rates were determined at 0.004±0.001 d-1 and 0.003±0.001 d-1, respectively. Further analysis revealed that death accounted for 73±4% and 89±5% of the decreased activity of Anammox bacteria during anaerobic and aerobic starvations, and activity decay was only responsible for 27±4% and 11±5% of the decreased Anammox activity, respectively, over the same starvation periods. These deeply shed light on the response of Anammox bacteria to the starvation stress, which would facilitate operation and optimization of the Anammox process. The importance of enhancing sludge dewaterability is increasing due to the considerable impact of excess sludge volume on disposal costs and on overall sludge management. This study presents an innovative approach to enhance dewaterability of anaerobic digestate (AD) harvested from a wastewater treatment plant. The combination of zero valent iron (ZVI, 0-4.0g/g total solids (TS)) and hydrogen peroxide (HP, 0-90mg/g TS) under pH3.0 significantly enhanced the AD dewaterability. The largest enhancement of AD dewaterability was achieved at 18mg HP/g TS and 2.0g ZVI/g TS, with the capillary suction time reduced by up to 90%. Economic analysis suggested that the proposed HP and ZVI treatment has more economic benefits in comparison with the classical Fenton reaction process. The destruction of extracellular polymeric substances and cells as well as the decrease of particle size were supposed to contribute to the enhanced AD dewaterability by HP+ZVI conditioning. Subcritical co-solvents of n-hexane/isopropanol were primarily utilized to extract lipid from wet microalgal pastes of Scenedesmus obliquus. The effects of key operational parameters were investigated, and the optimal parameters were obtained: solvent ratio of n-hexane to isopropanol was 3:2 (V:V), phase ratio of co-solvents to microalgal biomass was 35:1 (mL:g), reactor stirring speed was 900 rpm, extraction time was 60 min. Additional pretreatment with acid, ultrasonic and microwave as well as enhanced subcritical pressure/heating treatments were also applied to further study their effects on lipid extraction. The results showed that the lipid recovery rate with acid pretreatment was 8.6 and 6.2% higher than ultrasonic and microwave pretreatment; the optimum enhanced subcritical condition was 55 °C with atmospheric pressure. Under optimal operating conditions, the lipid and FAME yield were 13.5 and 7.2%, which was 82.6 and 135.1% higher than the traditional method. The results indicated that the subcritical n-hexane/isopropanol extraction process had promising application potential. Copyright © 2018 American Chemical Society. In this study, the effect of initial pH ranging from 3 to 11 on waste activated sludge solubilization and dewaterability in the freezing and thawing (F/T) process was investigated. Experimental results showed that alkaline conditions enhanced the solubilization of sludge in F/T treatment, whereas acidic conditions improved the dewaterability of sludge. Optimum solubilization with organic substances being 189.7 mg COD/g VSS occurred at initial pH 10, which was 12.9 times higher and more biodegradable than the control. Optimal dewaterability performance was achieved at initial pH 4, with capillary suction time and specific resistance to filterability reduction being reached to 85.4% and 87.8%, respectively. It was found that F/T treatment at initial alkaline condition also obtained good dewatering performance, and F/T treatment at initial acidic condition acquired fine solubilization too. Mechanism explorations exhibited that the OH - and freezing had synergetic effects on the degradation of extracellular polymeric substances (EPS) to enhance sludge solubilization, and OH - can be concentrated to a much higher level in the liquid-like boundary region upon freezing, which further strengthened this effects. The H + and freezing also showed synergetic effects on the protonation of functional groups of EPS and flocculation of the colloidal sludge to improve sludge dewaterability. This study clearly reveals the role and mechanisms of initial pH on the F/T process aiming at solubilization and dewaterability of sludge, and might provide supports for the application of F/T-based strategy in field situations in the future. Cadmium (Cd) is present in significant levels in waste activated sludge, but its potential toxicities on anaerobic fermentation of sludge remain largely unknown. This work therefore aims to provide such support. Experimental results showed that the impact of Cd on short-chain fatty acids (SCFA) production from sludge anaerobic fermentation was dose-dependent. The presence of environmentally relevant level of Cd (e.g., 0.1 mg/g VSS) enhanced SCFA production by 10.6%, but 10 mg/g VSS of Cd caused 68.1% of inhibition. Mechanism exploration revealed that although all levels of Cd did not cause extra leakage of intracellular substrates, 0.1 mg/g VSS Cd increased the contents of both soluble and loosely-bound extracellular polymeric substances (EPS), thereby benefitting sludge solubilization. On the contrary, 10 mg/g VSS Cd decreased the levels of all EPS layers, which reduced the content of soluble substrates. It was also found that 0.1 mg/g VSS Cd benefited both the hydrolysis and acidogenesis but 10 mg/g VSS Cd inhibited all the hydrolysis, acidogenesis, and methanogenesis processes. Further investigations with microbial community and enzyme analysis showed that the pertinent presence of Cd enhanced the activities of protease, acetate kinase, and oxaloacetate transcarboxylase whereas 10 mg/g VSS Cd decreased the microbial diversity, the abundances of functional microbes, and the activities of key enzymes. Finally, one strategy that could effectively mitigate the adverse impact of high Cd levels on SCFA production was proposed and examined. This work provides insights into Cd-present sludge fermentation systems, and the findings obtained may guide engineers to manipulate sludge treatment systems in the future. Triclocarban (TCC), one typical antibacterial agent being widely used in various applications, was found to be present in waste activated sludge at significant levels. To date, however, its effect on anaerobic fermentation of sludge has not been investigated. This work therefore aims to fill this knowledge gap. Experimental results showed that when TCC content in sludge increased from 26.7 ± 5.3 to 520.5 ± 12.6 mg per kilogram total suspended solids, the maximum concentration of short-chain fatty acids (SCFA) increased from 32.6 ± 2.5 to 228.2 ± 3.6 (without pH control) and from 211.7 ± 2.4 to 378.3 ± 3.2 mg COD/g VSS (initial pH 10), respectively. The large promotion of acetic acid was found to be the major reason for the enhancement of total SCFA production. Although a significant level of TCC was degraded in the fermentation process, SCFA was neither produced from TCC nor affected by its major intermediates at the relevant levels. It was found that TCC facilitated solubilization, acidogenesis, acetogenesis, and homoacetogenesis processes but inhibited methanogenesis process. Microbial analysis revealed that the increase of TCC increased the microbial community diversity, the abundances of SCFA (especially acetic acid) producers, and the activities of key enzymes relevant to acetic acid production. Biological nitrogen removal through the nitrite pathway (NH4+ NO2- N2) is favorable for wastewater treatment plants without sufficient carbon sources. This study demonstrates an innovative approach for attaining the nitrite pathway based on sludge treatment using free ammonia (FA, i.e., NH3). This approach is based on our innovative discovery in this study that FA at 210 mg NH3-N/L is far less biocidal to ammonium-oxidizing bacteria (AOB) than to nitrite-oxidizing bacteria (NOB). A total of 22% of the activated sludge from the sequencing batch reactor (SBR) receiving synthetic domestic wastewater was treated in an FA treatment unit at 210 mg NH3-N/L for 1 day. The FA-treated sludge was afterward recirculated back to the SBR. A nitrite accumulation ratio of above 90% was quickly achieved (in 40 days) and maintained stably in the SBR, indicating the establishment of the nitrite pathway. The NOB population and activity after implementing FA treatment was less than 5% of those without FA treatment, suggesting the washout of NOB. In contrast, the AOB population and activity in the SBR were not affected. The nitrogen-removal performance was significantly improved after incorporating the FA approach. The FA approach is a closed-loop approach and is economically and environmentally attractive. The enhancement of sludge dewaterability is of great importance for facilitating the sludge disposal during the operation of wastewater treatment plants. In this study, a novel oxidative conditioning approach was applied to enhance the dewaterability of waste activated sludge by the combination of zero-valent iron (ZVI) and peroxymonosulfate (PMS). It was found that the dewaterability of sludge was significantly improved after the addition of ZVI (0-4 g/g TSS) (TSS: total suspended solids) and PMS (0-1 g/g TSS). The optimal addition amount of ZVI and PMS was 0.25 g/g TSS and 0.1 g/g TSS, respectively, under which the capillary suction time of the sludge was reduced by approximately 50%. The decomposition of sludge flocs could contribute to the improved sludge dewaterability. Economic analysis demonstrated that the proposed conditioning process with ZVI and PMS was more economical than the ZVI + peroxydisulfate and the traditional Fenton conditioning processes. © 2017, Korean Institute of Chemical Engineers, Seoul, Korea. The advanced oxidization process has proven to be an effective conditioning technique for the improvement of sludge dewaterability. Zero-valent iron (ZVI) is often used as the catalyst of the oxidization process. This study applied ZVI with different particle sizes to the ZVI- peroxydisulfate reactions, and investigated their effects on the improvement of sludge dewaterability. It was found that ZVI particles with smaller sizes (100 and 400 meshes) led to slightly higher enhancement of sludge dewaterability (69.1%–72%) than the larger size particles (20–40 meshes) with the reduction rate of CST by 64%. However, after the treatment, the recycle rate of larger size ZVI particles was obviously higher than the small sizes ZVI particles: 98.3% vs. 87.6–89.7%. Different surface areas of the ZVI particles with different sizes might contribute to the phenomenon. For the small ZVI particles with the sizes of 100 and 400 meshes, no obvious differences of oxidization effects and the improvements of sludge dewaterability were found between them, which might be because an oxide layer could have been formed on the surface of fine ZVI particles and led to agglomeration. According to the economical analysis, the small particles (100 and 400 meshes) of ZVI were more economically favorable for the oxidative conditioning process with ZVI-peroxydisulfate than large ZVI particles (20–40 meshes). Free nitrous acid (FNA i.e. HNO2) was revealed to be effective in enhancing biodegradability of secondary sludge. Also, nitrite-oxidizing bacteria were found to be more susceptible to FNA than ammonium-oxidizing bacteria. Based on these findings, a novel FNA-based sludge treatment technology is proposed to enhance energy recovery from wastewater/sludge. Energy analysis indicated that the FNA-based technology would make wastewater treatment become an energy generating process (yielding energy at 4 kWh/PE/y; kWh/PE/y: kilowatt hours per population equivalent per year), rather than being a large energy consumer that it is today (consuming energy at 24 kWh/PE/y). Importantly, FNA required for the sludge treatment could be produced as a by-product of wastewater treatment. This proposed FNA-based technology is economically and environmentally attractive, and can be easily implemented in any wastewater treatment plants. It only involves the installation of a simple sludge mixing tank. This article presents the concept of the FNA-based technology. © 2015. One-class classification (OCC) has attracted a great deal of attentions from various disciplines. Few attempts are made to extend the scope of such application for process monitoring. In the present work, the Principal Component Analysis (PCA) and Variational Bayesian Principal Component Analysis (VBPCA) approach provides a powerful tool to project original data into lower data set as well as spreading different types of faults with different directions. This, along with multiple types of one-class classifiers (density-based, boundary-based, reconstruction-based and combination-based) that are able to isolate abnormal data from normal one, supported the design of process monitoring. These methodologies have been validated by process data collected from a Wastewater Treatment Plant (WWTP). The results showed that the proposed methodology is capable of detecting sensor faults and process faults with good accuracy under different scenarios. Wang, QL, Hao, XD & Cao, YL 2011, 'Enriched experiment and endogenous processes of glycogen-accumulating organisms (GAOs)', Huanjing Kexue/Environmental Science, vol. 32, no. 4, pp. 1034-1041. Cell decay is an important part of microbiological endogenous processes, which consists of cell death (reduction in the amount of active bacteria) and activity decay (reduction in the specific activity of active bacteria). By means of measuring maximal anaerobic volatile fatty acid (VFA) uptake rates (VFAUR), analyzing 16S rRNA with fluorescence in-situ hybridization (FISH) and observing membrane integrity by live/dead staining, the aerobic decay characteristics of glycogen-accumulating organisms (GAOs) in an enriched GAOs sequencing batch reactor (SBR) system were investigated. It was experimentally identified that a highly enriched culture of GAOs (94%) was obtained by maintaining the temperature at 30°C in the SBR and a high m (COD): m (P) at 100 in the feed. The experimental results and calculations revealed that the decay and death rates of GAOs were 0.132 d -1 and 0.034 d -1 respectively, which demonstrated that cell death and activity decay accounted for respective 26% and 74% of the total GAOs cell decay. For this reason, cell death was only a minor factor causing the cell decay of GAOs, and activity decay was mostly responsible for this process. The Activated Sludge Model No. 2d (ASM2d) was extended to incorporate the processes of both predation and viral infection. The extended model was used to evaluate the contributions of predation and viral infection to sludge minimization in a sequencing batch reactor (SBR) system enriching polyphosphate-accumulating organisms (PAOs). Three individual decay processes formulated according to the general model rules were used in the extended model. The model was firstly calibrated and validated by different experimental results. It was used to evaluate the potential extent of predation and viral infection on sludge minimization. Simulations indicate that predation contributes roughly two times more to sludge minimization than viral infection in the SBR system enriching PAOs. The sensitivity analyses of the selected key parameters reveal that there are thresholds on both predation and viral infection rates, if they are too large a minimal sludge retention time is obtained and the effluent quality is deteriorating. Due to the thresholds, the contributions of predation and viral infection to sludge minimization are limited to a maximal extent of about 21% and 9%, respectively. However, it should be noted that the parameters concerning predation and viral infection were not calibrated separately by independent experiment in our study due to the lack of an effective method, especially for the parameters regarding viral infection. Therefore, it is essential to better evaluate these parameters in the future. Wang, Q, Hao, X & Cao, Y 2010, 'Enriched experiment and endogenous characteristics of polyphosphate-accumulating organisms (PAOs)', Huanjing Kexue Xuebao/Acta Scientiae Circumstantiae, vol. 30, no. 12, pp. 2405-2413. By means of measuring maximal anaerobic phosphate release rates (PRR), analyzing 16S rRNA with fluorescence in-situ hybridization (FISH) and observing membrane integrity by live/dead staining, the aerobic decay characteristics of polyphosphate-accumulating organisms (PAOs) in a biological nutrient removal (BNR) system and an enriched PAOs sequencing batch reactor (SBR) system were investigated. It was experimentally determined that a highly enriched culture of PAOs (91%) was obtained in the enriched PAO-SBR system by alternating the carbon source in the feed between sodium acetate trihydrate and propionate over a 36 d switching cycle, i.e., sodium acetate trihydrate (24 d) and propionate (12 d). The experimental results and calculations revealed that the decay rates of PAOs in the BNR and enriched PAO-SBR systems were 0.113 d-1 and 0.181 d-1, respectively, and the death rates were 0.048 d-1 and 0.036 d-1. In addition, the results also demonstrated that cell death contributed 42% and 20%, respectively, to the cell decay in the BNR and enriched PAO-SBR systems. In other words, the activity decay accounted for 58% and 80% of the total cell decay. For this reason, cell death was not a major factor causing the cell decay of PAOs, but activity decay was mostly responsible for this process. A pretreatment method was developed to assess the activities of higher organisms. The method is based on mechanical shearing to damage the large cells of the protozoan and metazoan community in activated sludge. The procedure was confirmed through experimentation to be effective in determining the activities of higher organisms by comparing oxygen uptake rates (OURs) before and after the higher organisms were eradicated. Shearing led to disintegration of flocs, which could be effectively reconstituted by centrifugation. The reconstitution of the sludge flocs was essential since otherwise the activity of the floc mass would be too high due to lack of diffusion limitation. Mechanical shearing had no influence on the morphology, quantity and specific activity of yeasts, and it was inferred that bacteria smaller than yeasts in size would also not be influenced by the applied shearing procedure. Moreover, the effect of filamentous organisms on the measured activities of higher organisms was experimentally demonstrated and analyzed, and determined to be so weak that it could be ignored. Based on these tests, five typical activated sludge processes were selected to measure the contribution of higher organisms to the original OUR. The measured activities of higher organisms ranged from 9.4 to 25.0% of the original OURs. Hao, X, Zhang, X, Cao, Y & Wang, Q 2009, 'Determining the decay characteristics of nitrifying bacteria in activated sludge using molecular biological techniques', Huanjing Kexue Xuebao/Acta Scientiae Circumstantiae, vol. 29, no. 10, pp. 2033-2040. The aerobic decay characteristics of nitrifying bacteria in a nitrifying sequencing batch reactor (SBR) and a biological nutrient removal (BNR) system were investigated by measuring maximal oxygen uptake rates (OURs), analyzing 16S rRNA with fluorescence in-situ hybridization (FISH) and observing membrane integrity by LIVE/DEAD staining. The experimental results reveal that in the nitrifying SBR system, cell death was responsible for 33% of cell decay at SRT = 10 d and for 50% at SRT = 40 d. In other words, the activity decay contributed 67% and 50% of the total cell decay at SRT = 10 and 40 d respectively. A longer SRT should select for nitrifying bacteria better adapted to starvation conditions, and thus the selected nitrifying bacteria could quickly produce a stringent response. As a result, a reduced decay rate of the selected nitrifying bacteria is expected. In the BNR system (SRT = 15 d), the cell death was responsible for 45% of the total cell decay for nitrifying bacteria, and thus the activity decay accounted for 55% of the total cell decay. The different fractions of cell death of nitrifying bacteria in the two systems could be caused by different microbial compositions in the SBR and BNR systems. Cao, Y, Hao, X, Wang, Q & Zhang, X 2009, 'An effective method of measuring the activity of higher microorganisms in activated sludge', Huanjing Kexue Xuebao / Acta Scientiae Circumstantiae, vol. 29, no. 7, pp. 1395-1399. A mechanical disruption method was experimentally applied to kill higher microorganisms in activated sludge; the activity of higher microorganisms could be indirectly calculated on the basis of the difference of oxygen uptake ratios (OURs) before and after disruption. The experiments indicated that a disperser could effectively break up and kill higher microorganisms and that they did not revive after enrichment for 138 h. As a control, yeasts were also disrupted by the disperser, to show that their numbers, morphology and activity were not mechanically affected, which implies that bacteria smaller than yeasts would not be mechanically affected either. To assure an almost identical morphology of flocs before and after disruption, the sludge after disruption was centrifuged to approach the same sludge volume index as before treatment. The activity of higher organisms could be calculated by measuring and comparing the OUR values of sludge samples before and after disruption, and was determined to be 12%-14% in this study.